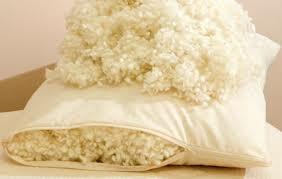 Wool pillows are natural, anti-allergenic, supportive, warm and cool. 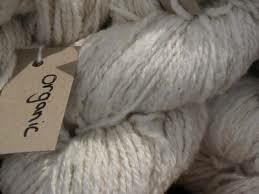 Increasing in popularity, wool is of course a more environmentally friendly option than man-made, synthetic fillings which are made from polyester. These polyester fillings are all made through a using a chemical reaction involving coal, petroleum, air and water. Would you ever have guessed there was petrol in your bedding? Fossil-fuel-free, wool is excellent at repelling dust mites – it is naturally anti-allergenic, as long as you’re not allergic to wool itself! – and brilliant at absorbing moisture. A sheep’s fleece insulates the sheep’s body, helping to maintain a constant body temperature by providing protection from the extremes of cold in winter and heat in summer. This all means that wool is a fantastic material to use for bedding, helping to keep you warm in winter and cool in summer. Although not to everyone’s taste, wool pillows can be a great pillow choice for people who get hot heads in bed: toddlers, children and anyone going through the menopause. Because the natural fibres absorb moisture, you also don’t get a sweaty patch on your pillow as you might do with a polyester / synthetic pillow. This ability to regulate humidity also means, bizarrely, that wool is a really good option if you live in hotter, tropical countries too. Go straight to our reviews of wool pillows here. Naturally much heavier, and firmer than synthetic pillows, or down and feather pillows, a wool pillow stays where you put it and doesn’t end up half way down the bed. They’re more supportive and often flatter which is good for front sleepers or as a children’s pillow for little ones who mainly sleep on their tummies or sides. Alternatively, you could double-up your pillows if you need a bit more support on your back or side. Recyclable and fully biodegradable, wool pillows definitely meet any ‘green’ sustainability criteria. And there are a couple of good organic wool pillows available with 100% cotton covers for those readers who would like to be as eco-friendly as they can be. Having said all that, there still aren’t many wool pillows on the UK market – although the sector is growing. Perhaps because they’re not the ‘go to’ choice for most adults. They tend to be heavy and firm, as weighty as a good quality memory foam pillow and your head definitely doesn’t sink into them like it does in down or a soft synthetic pillow. A bit like memory foam – and Marmite – most people tend to either love them or hate them. Can you wash wool pillows? 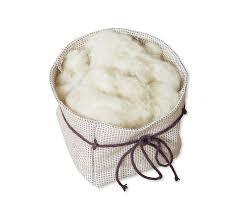 Washing some wool pillows can be a little risky, so ideally a quick surface-clean or a dry clean is a better idea. You’d be wise to use a 100% cotton pillow protector as well as a pillowcase for an extra layer of protection. Tip: Don’t use a waterproof protector as its synthetic fibres will stop all those lovely breathable benefits of your natural wool and cotton. heavier so don’t move around the bed by themselves. can smell a bit ‘sheepy’ at first – air them! Read our reviews of the best wool pillows here.